In an increasingly digital world, restaurant owners can easily feel torn between servicing customers who walk in the door, or taking care of the customers who choose to order online. 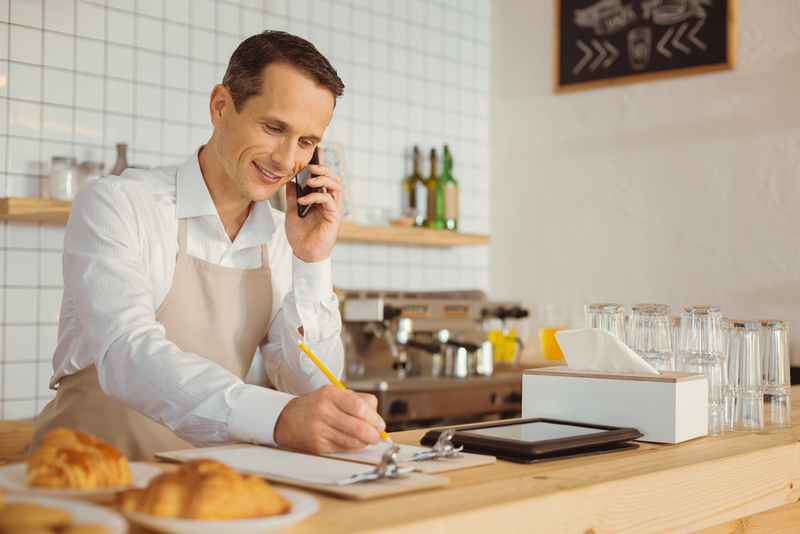 Who is more important, your patrons who choose to visit your brick and mortar restaurant, or those who love to use an app to order for carryout or delivery? The answer is that they are both incredibly valuable, and you do not have to pick favorites. In fact, you can use your mobile app and online ordering system to help you develop a community of regulars who all love your restaurant. Building community starts with the way you view your customers. Rather than thinking of them in a strictly transactional manner, strive to get to know them as people. Make the effort to develop real relationships with your patrons. Like friendships, it takes time, energy and sincerity. But, it is absolutely worth it! You can start building these relationships by having conversations with your customers. As a manager or owner, you should visit tables and have a genuine chat with your patrons. 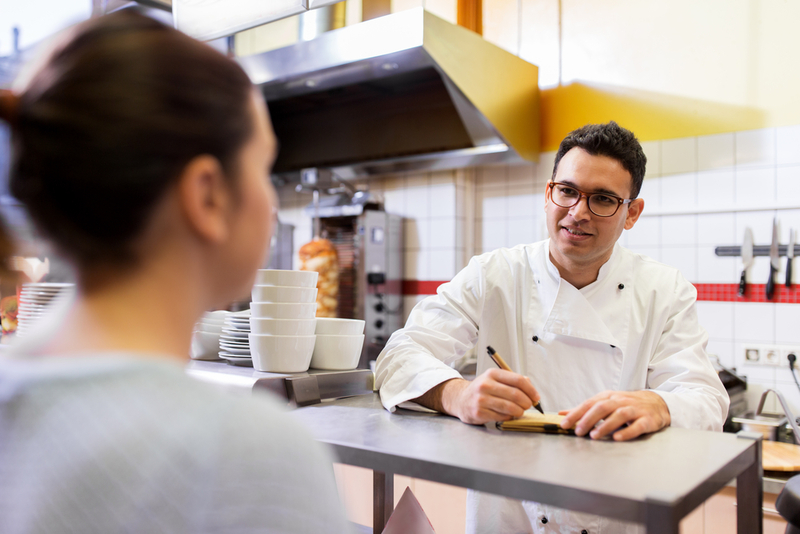 Train and encourage your waitstaff to engage in sincere conversation as a way to make your patrons feel special and appreciated. It is time to create a loyalty program if you do not already have one in place. Implement a program that benefits patrons who dine in as well as those who use your mobile app or online ordering system. Orders2.me can develop a loyalty program that smoothly integrates with your current POS system. Whether a patron places an order at a table or with their device from home, they can reap the bonuses that come with membership in the program. A good loyalty program gives your patrons more of what they love about your restaurant. Think about offering a free appetizer or dessert on members’ birthdays or offer a free entree after a set number of visits. Remember that your patrons want more than just free food from your loyalty program. It should make them feel like valued members of your restaurant’s community. Do something special to let them know you appreciate their patronage. Send an e-mail or text message when you have new menu items or specials. Better yet, consider mailing a physical card every year for their birthday. The extra effort will make members feel like VIPs! Your staff members are the first point of interaction with your patrons. So, they need to represent your restaurant in the best way. Hire the best possible employees and spend time training them well. They should excel at their jobs, but also create a welcoming atmosphere to all of your customers. They should make dine-in patrons and carry out or delivery customers all feel special with every order placed. Think of the “Disney Factor.” Everyone working at a Disney property is empowered to provide the best possible experience to all visitors. From character actors to janitorial staff, they always prioritize customer service. All your staff should follow this example and make pleasing customers their most important consideration. Top-notch customer service should also extend to your online ordering system and mobile app. Orders2.me can implement a user-friendly system ensuring a great ordering experience for your patrons that assures a seamless customer-friendly experience, whether someone places an order in person, on a computer or with a mobile device. Patrons love specials, and your restaurant can offer a number of different options, especially for members of your loyalty program. Happy hour specials always bring in customers, and if you implement additional incentives for your regulars and loyalty program members, they will feel even more appreciated. Having specials available on your online or mobile ordering platforms increases orders, and specials available in your restaurant draw people inside. Each strategy will help cultivate a community of regulars who love to visit your establishment. Your app and online ordering system can still help with this initiative by letting members of your loyalty program know about these specials. As you develop a corps of regulars in your restaurant, do not forget about the local community. Local groups and organizations always need a meeting space. So, think about reserving a few tables for them once or twice a month. When local charities need help with fundraisers, offer coupons, related specials or donate your services as a caterer. Local residents will remember this goodwill, and many will become members of your restaurant’s community. Stepping into the world of digital ordering does not mean losing out on cultivating a community of regulars who love to visit your restaurant. On the contrary, using these tools can help you build a loyal following of patrons who love to dine in as well as order from a distance. Do you have questions about how you can use online ordering to help cultivate a community of regulars? Reach out to our experts at Orders2.me, and they will help you decide what steps to take next.